A purchased video can be viewed from the purchase history, download, streaming, and [Monthly] monthly unlimited service menu on My Page, and the description page of that video. For playback of a downloaded video, DRM license validation is required. Follow the dialogs to go through the validation. 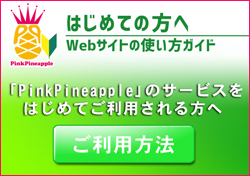 For license validation, the email address registered with PinkPineapple site and the password are required. When the validation is completed, the view button will be displayed. For download playback on a PC, WS Player must be installed as the player. 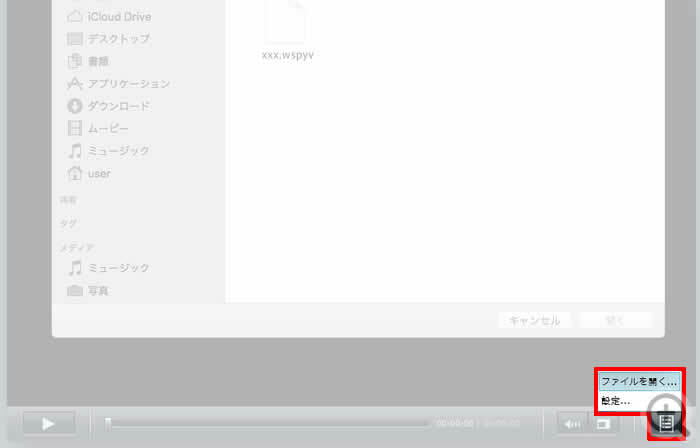 WS Player is a Silverlight Player provided by WebStream Corporation for DRM video playback. It is an install-type Silverlight Player that supports download distribution and is executable outside a browser. Learn how to install WS Player for PCs here. When a downloaded file is double-clicked, WS Player will start, and it will play automatically. If the file is not played by double-clicking, associate the file type with the program. Start WS Player, and drag and drop the video file you wish to play to WS Player. See here operating environments, operating environments, operation procedures, and a playback test with a sample. You can play a downloaded video file by opening it from WS Player. *For MacOS, playback by double-clicking or dragging and dropping is not available. Start WS Player, and open the video file from the Open File menu at the lower right. For download playback on a smartphone/tablet (iPhone/iPad/Android), WS Player for your OS must be installed as the player. WS Player is a player app that supports download and streaming playback of videos. Install it in advance from the Google Play or App Store. 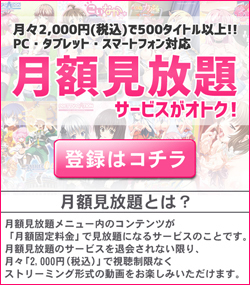 When WS Player has been installed, WS Player will, by pushing the download button of this Site, start automatically, and the video can be downloaded. Learn how to install WS Player for Android/iOS here. For streaming playback on a PC, use the standard browser of your terminal. Display the product description page of your video from the purchase history, streaming, or monthly unlimited service menu on My Page, and click [Streaming Playback] to the right of the page, then a playback screen will open. Microsoft Silverlight must be installed before streaming playback. However, if you are using download playback now, you do not need to install Microsoft Silverlight separately. Microsoft Silverlight can be installed here. For streaming playback on a smartphone/tablet (iPhone/iPad/Android), WS Player for your OS must be installed as a player. Install it in advance from the Google Play or APP Store. When WS Player has been installed, WS Player will, by pushing the playback button of this Site, start automatically, and the video can be played. Copyright © 2016 Pinkpineapple All Rights Reserved.